Started business in Mombasa as a Branch of the South British Insurance incorporated in New Zealand in 1872. 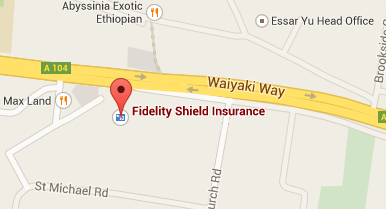 Incorporated as company with the name Shield of Kenya Insurance Company Limited. 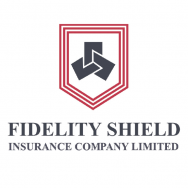 General business of Shield of Kenya was amalgamated with the life insurance portfolio of Fidelity Insurance Company limited and the name for the new composite Company became Fidelity Shield Insurance. Now the choice of the word shield is symbolic to us and to the environment we were and are still in. A shield, which also formed our current logo was intentionally settled on to represent protection which is the business we are involved in. To offer protection or cover for unprecedented losses. Fidelity Shield Insurance Company Limited is a leading general insurance provider offering a wide range of products to cater for individuals, private corporate companies, small and medium enterprises and governmental organisations and many more.